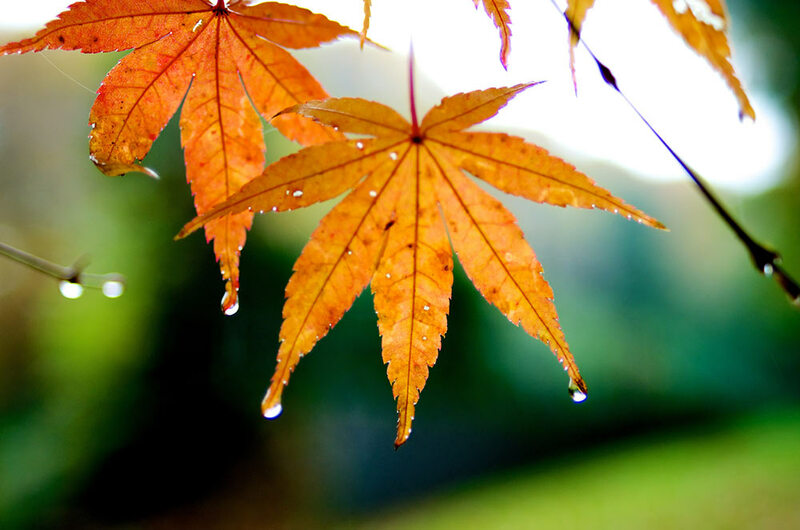 Fall is the perfect time to do a pre-season check-up on your home before the rainy season starts coming down to visit. Inspect the following parts of your property for damages or decay that could result in leaks. The top of your house takes a lot of damage from pouring rains and natural debris blowing in with the wind. Check ridge shingles for cracks or potential wind damage. If you see missing, curled, or damaged shingles, these should definitely be replaced. Damaged areas of the roof are the most likely place for a leak to develop and once the water starts flowing, it may be difficult to know exactly where the problem started. Your home’s gutters distribute thousands of gallons of water from your roof’s drainage system every season, protecting your home from water damage. When a clog occurs due to collected debris, it affects the whole system. Make sure you’ve had your gutters properly cleaned before the rainy season and if you live in an area with lots of trees that tend to shed their leaves every fall, install some mesh guards to keep accumulations of debris from coming back. Ensure outside faucets and underground irrigation systems don’t freeze or burst once temperatures really start to drop. Read the manufacturer’s manual to learn how to properly drain the lines or if you don’t have shut-off valves, buy Styrofoam faucet covers. These can be found at most home repair centers. It’s important to regulate the drainage systems in and around your home to protect yourself from water damage. Whether it’s coming from above or being rerouted from below, water has a knack for showing up in places it doesn’t belong. If your home in Somerset County, New Jersey does experience water damage this season, call ServiceMaster Cleaning & Restoration Services! We’re here to help and get you your home dry and warm once again.